“I can’t stay home sick today! There’s too much to do at work!” Have you ever had that thought? I remember having it a lot. There were only two reasons that I would stay home from work. The first was a fever and the second was a migraine. So, I generally didn’t miss too much work. If one of those two reasons didn’t exist, it didn’t matter how bad I felt, I was at work. Do you do that? 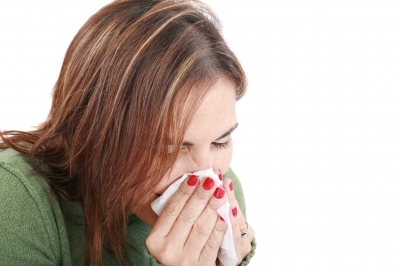 Do you go to work regardless of how sick you feel when perhaps you should stay home and rest? Why do we do that to ourselves? I know one reason that I went to work, even when I felt lousy was guilt. I felt guilty when I didn’t go to work. I didn’t want to give my co-workers more work and I didn’t want anyone waiting an extra day for me to complete something they were waiting on. I did notice a few problems when I went into work sick though. Problems like those annoying mistakes that happen when I’m not thinking clearly and that everything takes longer to complete. And I probably was sick for a longer period of time than if I had stayed home and rested. Not to mention the possibility of making my coworkers sick. Of course the upside to staying home was getting better faster, getting more sleep and just listening to what my body was telling me. All in all, slowing down to speed up the recovery! Eventually, I did start to realize that the downsides of coming into work (and of course the upside of staying home) outweighed the extra work and inconvenience of missing a day of work. Sick days are available so we can use them. Take care of yourself when you’re sick, you deserve it! Previous postWhat Does Being Happy Mean? Next postAre You Feeling Overwhelmed?